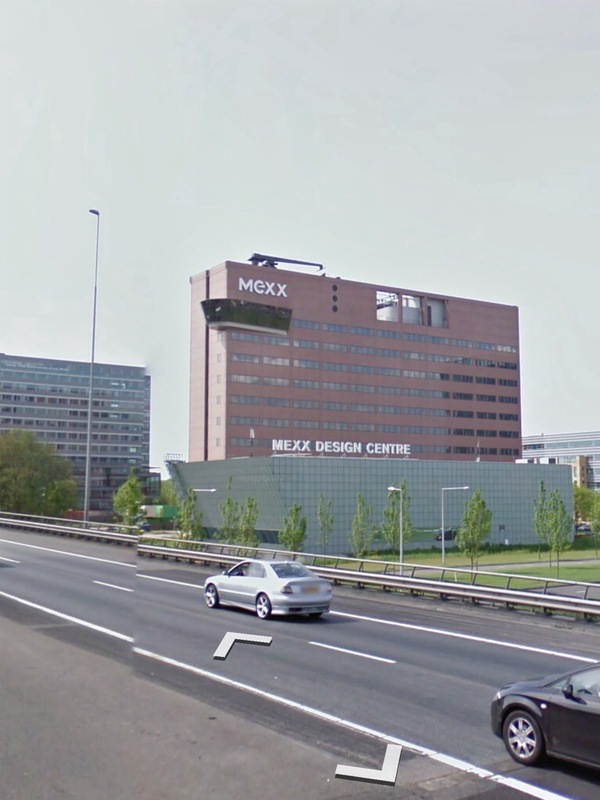 I was surprised, when I looked for information on the Nissan building next to the A4 just outside Amsterdam, to find it was finished as late as 1991. It was this building that struck me as the first building that truly made something out of its location right next to the highway. The rectangular slab of the building is positioned at a 90 degree angle to the road, making the entire facade a billboard that carries the company logo. A whimsical blob emanates from the edge, near the top – a board room probably – and gestures at the passing cars. The blob seemed to me a rather transparent quote from the vocabulary of OMA (the architecture firm that everybody now knows from the CCTV building in Beijing). This office made, much earlier, a true piece of Carchitecture. The building I’m thinking of is the 1980 project for the “Boompjes” in Rotterdam. Its complicated and contradictory shape (a slab made out of towers) is further rationalized by the view it presented from the road that went past the building. A beautiful piece of OMA bravura, it was a project for a site that didn’t exist, precariously ambushed by water and a curving bit of highway. Driving on this highway meant that just when you would arrive at the building you had to make a sharp turn and right after that another, to prevent crashing into it – a fantastic cinematographic experience that was preserved in the flight of the little renderings (perspective views of the approach) that hover in the left panel of the triptych made for the presentation of the project. So here, for the first time, there was an awareness of the quality that a roadside location could have, not only because it was so conveniently placed to the means of access, but also, and very much so, because the building itself could advertise, just as the car salesmen had found out before. The Boompjes building was a watershed because, for the first time in decennia, it celebrated infrastructure and the highway. By the end of the 70’s you could find the ruins of the big infrastructural dreams of the previous decades in almost every city in the Netherlands. Stretches of highway looking forlorn in the still standing fabric of the old city around it. In Amsterdam a 4-lane road stopped right before a venerable remainder of the Golden Age, the 17th century residence of the Pinto family. The frail old building proved to be stronger than the stream of asphalt. In Delft a highway speeded gingerly towards the medieval centre – that is, before the value of the old brick and mortar was judged to be greater than a smooth transition by car. And so the highway stopped right in front of a row of 19th century houses; dramatically, incomprehensibly. Something similar happened in The Hague. A wide lane, lifted on concrete pillars, abruptly had to go down on its knees and bow down before the neighbourhood it all but had destroyed. Of course the buildings that would line these dreams of swift connection and frictionless transport didn’t sport the complicated forms of Carchitecture. They were reticent boxes, quiet (or should i say “boring”) containers for the offices and shops that would bring the old city back to life. Most of these buildings are now torn down. 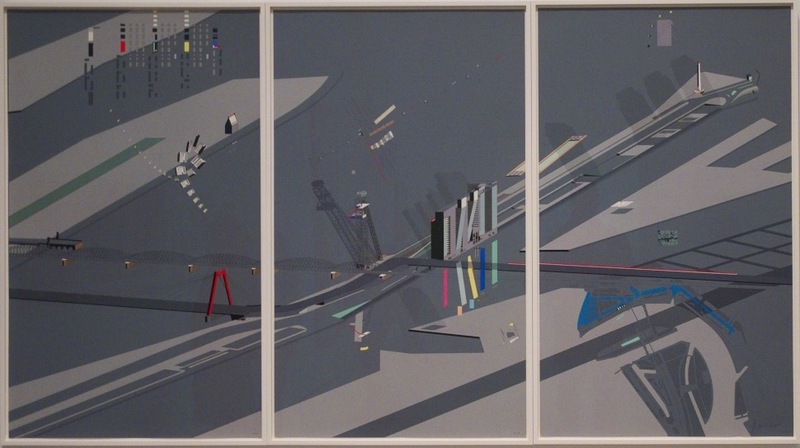 This was the state of things by 1980: a ban on highways within the boundaries of the cities, preservation and reconstruction of the old city centres, a move of businesses to locations outside the city, and a new effort to provide the existing highways with enough capacity to connect the cities with these new locations. The Boompjes project never made it past the beautiful presentation. The “impossible” location turned out to be a quite possible location for a rather bland building, that didn’t do anything with the highway but addresses a bend in the river at that point, supposedly. It took another ten years for the Nissan building to appear, the first built example of car driven architecture: Carchitecture. 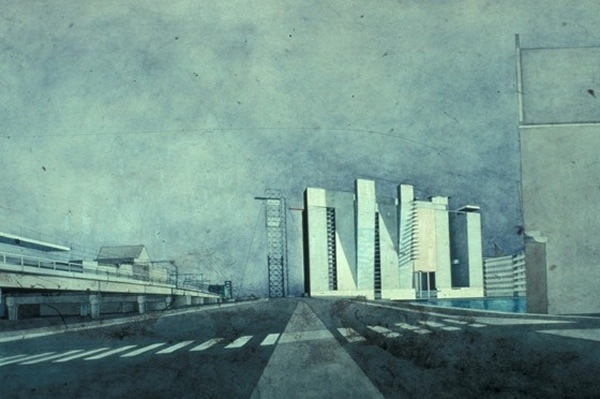 This entry was posted in architecture and tagged architecture, carchitecture on February 8, 2014 by Reine. Hello, I remember seeing a watercolour sketch of this project (Boomjes) on the cover of a magazine (it may have been Progressive Architecture). I’m wondering if you’ve ever come across that drawing? Sorry, I meant to click the “notify me” button – I like your blog!